Tyres are an extremely important component of your car, and they are vital in keeping your car under control. If you require any services pertaining to your car tyres, Eng Wah Tyre and Battery offers the solution, with excellent service at affordable prices as recommended by numerous satisfied customers. Eng Wah Tyre and Battery is a comprehensive one-stop shop that can do replacement of your car tyres at affordable prices. Tyre and rim repairs start from $20, and Eng Wah is also able to help motorists with changing their rims to aftermarket options to improve on their cars' aesthetic appeal. Additionally, Eng Wah also provides other services like installing tyre pressure monitoring systems, and replacement of car battery. They are also able to perform car servicing at their workshop, and Eng Wah stocks a wide variety of tyre, rims and battery options to cater to every motorist's needs. 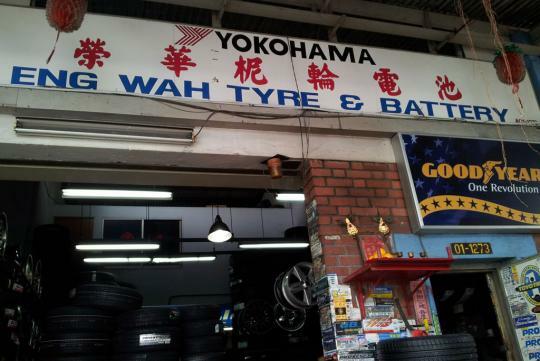 Eng Wah Tyre and Battery is conveniently located at Blk 5 Toa Payoh Industrial Park, #01-1273, and their operating hours are from 9:00am to 7:00pm on Mondays to Saturdays, and 11.30am to 2.30pm on Sundays. Had be with them since 2006. 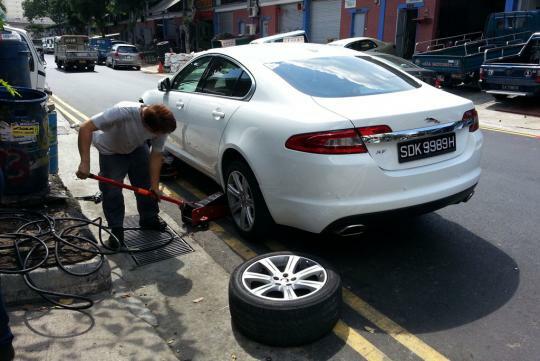 Good service and reasonable price for tyres and rims. Don't expect any posh tyre shop with wifi, but prices are sure one of the cheapest! Great & super fast service. Went there this afternoon to fix my tyre. Done quickly & cheap. Service staff very friendly too! Thanks Vincent for replacing my car battery before closing for CNY. Have a great CNY!